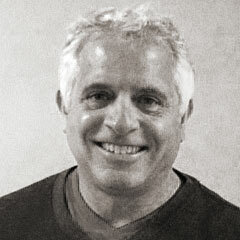 Meet Tony Cimmino, Director of Events, Manhattan Center. Having worked at Manhattan Center for 22 years, Tony can tell you a story or three. One of his favorites involves a certain high-maintenance Diva from the pantheon of Rock & Roll. I WANT EVERYTHING IN WHITE! EVERYTHING! Now, The Hammerstein, considered one of the best event venues in NYC, is 12,000-square feet with a 75-foot hand-painted ceiling, two balconies and six opera boxes. So “everything” is a big-time request. Even for a Diva. Tony descended the stairs with a slight feeling of unease. A feeling that was confirmed as soon as he crossed the threshold into the dressing room. “I wanted everything white!” cried the Diva in residence. Tony, always composed, replied calmly, “But Ma’am, everything is white”. Well, not so fast Tony. The Diva harshly points to a bowl of M&Ms that were the model of diversity. They were, indeed, not white. Tony sent out his very best to scour the stores of mid-town Manhattan and, lo and behold, the offending coated candies were soon replaced with their pure-as-the-driven-snow counterpart. Diva Disaster diverted. Of course, Tony still had work to do. Checking on the ice and liquor supplies. The fire exits. The hundreds of other little things that could go wrong. Well, nothing did, and the event has gone down as one of the best ever staged at Manhattan Center. Tony is ready, willing and very able to accomplish the same for you and your next event. With or without the M&Ms. Meet Pete Auslan, Director of Production, Manhattan Center. As a kid growing up, Pete was the kind of lad who dreamed big. Like “I-am-going-to-be-a-rock-star” big. So he got real nasty at the guitar and a had a few brushes with fame. But fame being fleeting he taught himself how to be a sound engineer along the way. And we can presume he was a pretty good teacher because one day he found himself sitting behind the soundboard for Diana Ross in Amsterdam in a stadium filled with 60,000 hysterical fans. Touring with Diana and others like Jeffrey Osborne and Ashanti, he also learned a ton about lighting, stage design, TV production and a bunch of other stuff you need to get the gig he now has at Manhattan Center. A gig that recently found him chasing down some misaligned lights in the grid high above The Hammerstein, the iconic venue that’s part of the Manhattan Center entertainment and hospitality complex. Most people wouldn’t have even noticed. And the rest probably wouldn’t have cared enough to bother. But that’s Pete. And that’s why you want him running production at your next event. Then you’ll have your own chance to catch his acrobatics swinging 75-feet above your head.